Professors in the College of Arts and Sciences are knowledgeable and engaging teachers who believe that vigorous interaction between faculty and students, and among students themselves, is the key to intellectual growth. Our professors are also active scholars who stay current in their teaching fields and maintain the respect of their peers. A host of successful alumni attest to the quality of UNA’s programs in the arts and sciences. The Dean's Office of the College of Arts and Sciences is located in historic Bibb Graves in Suite 217. As a regional, state-assisted institution of higher education, the University of North Alabama pursues its Mission of engaging in teaching, research, and service in order to provide educational opportunities for students, an environment for discovery and creative accomplishment, and a variety of outreach activities meeting the professional, civic, social, cultural, and economic development needs of our region in the context of a global community. The Department of Entertainment Industry is part of the College of Arts and Sciences and aims to prepare students for professional careers in the increasingly diverse entertainment industry. The mission of the department is to prepare students for professional careers in the entertainment industry through quality instruction, development and mentoring. A cornerstone in this mission is to give students a broad background to enter the diverse, global workplace of private industry, entrepreneurship and independent contracting. Communication is a powerful process that influences our professional and personal lives, and those who study and understand it equips themselves for a lifetime of opportunities. History at UNA is dynamic, creative, and focused on experiences that will develop critical thinking skills, communication skills, and prepare graduates for exciting careers. Award-winning faculty and exciting programs provide opportunities for study abroad, internships, and exciting cultural experiences both on and off campus! 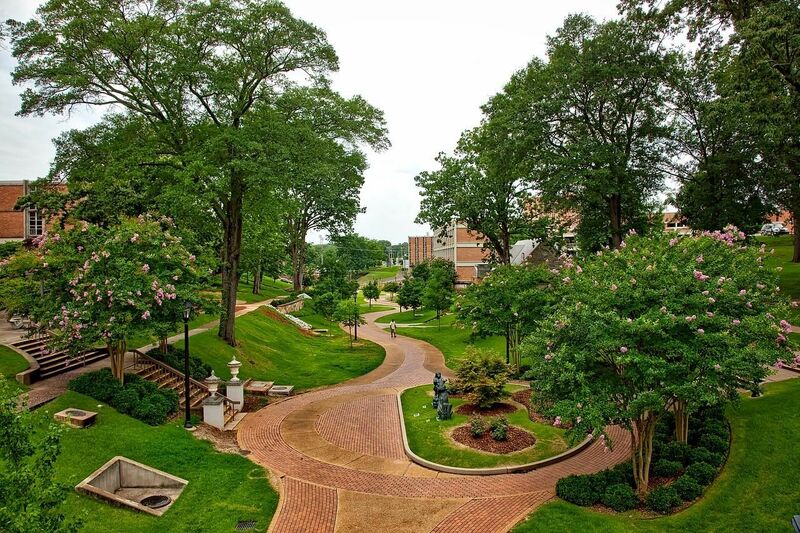 The Department of Foreign Languages at the University of North Alabama provides majors such as Spanish. A minor is also available in French, German and/or Spanish. Six credit hours at the Introductory level in the same foreign language are required for all Bachelor of Arts degrees. Spanish Conversation Table - Come join the Spanish Conversation Table!!! Starting September 12, 2018, in Wesleyan Hall 304. It will be held every Wednesday. Beginning Spanish speakers always welcome. Hope to see you there. The Department of Physics and Earth Science is located in the Science and technology (SET) building on the campus of the University of North Alabama. The department offers an undergraduate degree in physics, and courses are offered that lead to a minor in geology. The department offers a General Science option which is generally designed for students who have a second major in secondary education. The department maintains the university planetarium and observatory, which is available to the public for viewing. A course in astronomy is also taught in the planetarium. The Engineering Technology degree provides a fundamental background in general science as well as a comprehensive background in traditional industrial technologies, evolving technologies, and a focused study in electrical and mechanical engineering technology or chemical engineering technology. Merchandising is a concentration for people interested in the areas of fashion, retail, manufacturing, wholesaling, visual merchandising, marketing and other areas of creative expression in the business world. You will learn valuable information regarding clothing construction and design, textiles, and getting the product to the ultimate consumer. The Department of Geography offers a major program with three options in geography leading to the Bachelor of Arts or Bachelor of Science degree, minor programs in general geography and geographic information science, a certificate in geographic information systems, coursework applicable to general education components in all programs, and coursework contributory to other curricula, including the programs for the preparation of elementary and secondary teachers offered through the College of Education and Human Sciences. The Department of Social Work is nationally accredited by the Council on Social Work Education and offers a Bachelor of Social Work (B.S.W.) degree. Social work is a challenging and enriching profession that is committed to the advancement of social and economic justice and human well-being.